On a quiet Saturday afternoon, we decided to head over to Columbia Kettle Works 2nd Gear Lancaster Taproom to check out the offerings of this local microbrewery. Boy, were we glad to spend an afternoon there, sipping local drafts and enjoying the laid back atmosphere! We chose to build our tasting list from Columbia Kettle Work’s locally-brewed options, though they do offer a few guest beers. We enjoyed their Grinch Feet Holiday Red Ale, Coffee Stout, Hefeweizen, and Bitter Blossom IPA. 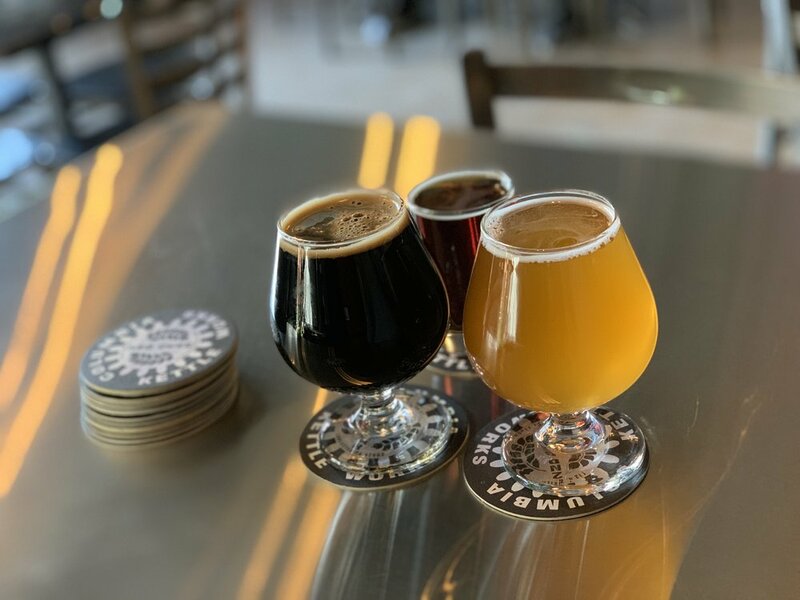 Their brews are offered in pours ranging from five to 16 ounces, allowing you to create your own sampler or enjoy a full pour of your favorite draft, depending on what you’re looking for that day. No doubt, we’ll definitely be heading back to Columbia Kettle Works 2nd Gear Taproom in downtown Lancaster very soon.